We show you everything you need to know. Just gather your friends and family and feast! What’s a Hot Pot? 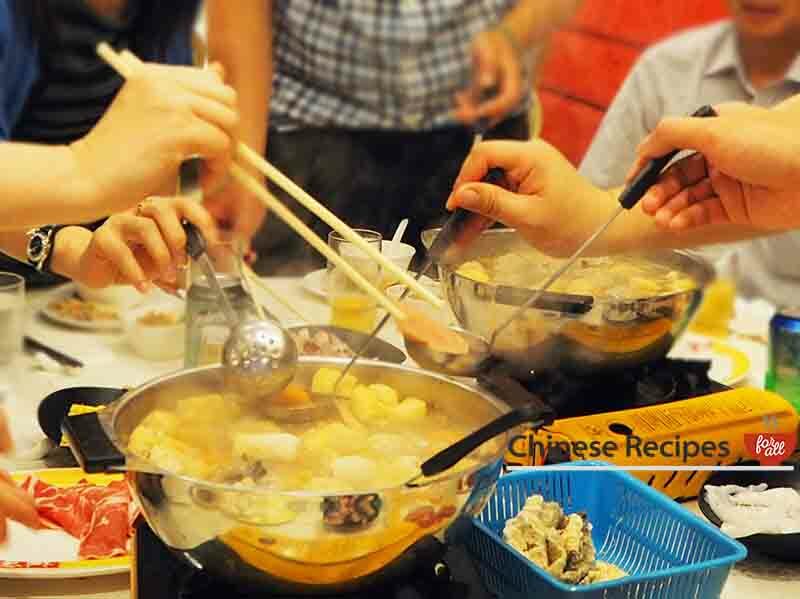 Other than two words sounding funny when put together Hot Pots are a social affair and are absolutely delicious! 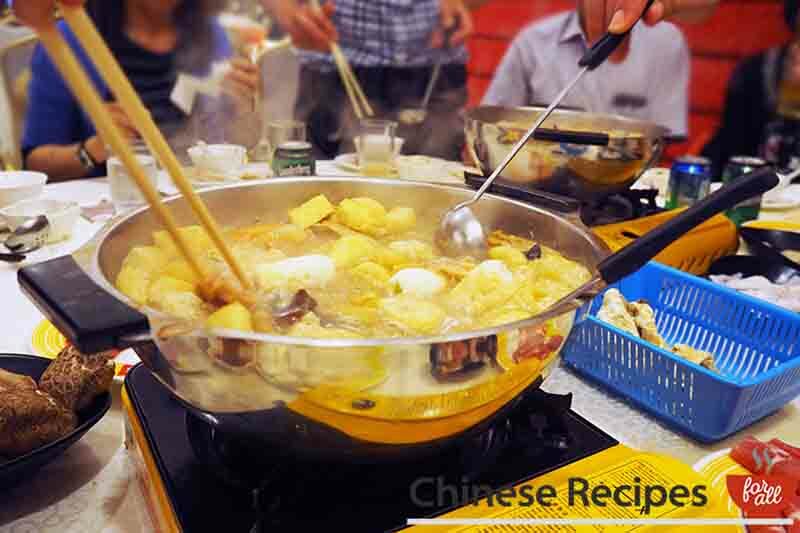 We show you how to make a delicious hot pot at home. Hot Pot is a meal where everyone sits around a portable stove with a pot heating up stock inside it. They then cook raw meat and vegetables in the stock and feast! It’s an incredibly social affair and everybody digs in, cooks and shares. The stock then becomes incredibly tasty as lots of ingredients are cooked in it releasing their flavours. Make a soup stock - see our veggie hot pot soup stock recipe. 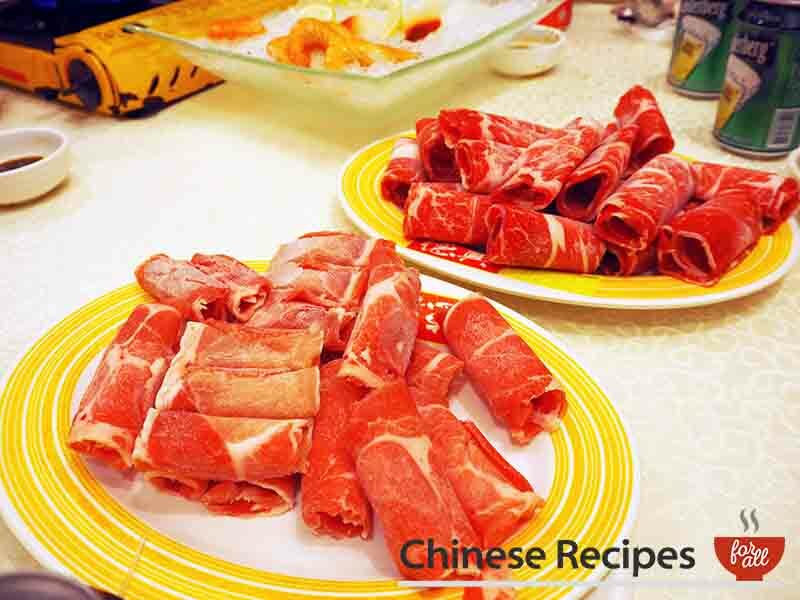 Buy and prep raw ingredients, see below (What Food can you have in a Chinese hot pot) for ideas. Any ingredients that need cooking, you can prep these, like dumplings. Serve them cold and people can place them into the hot pot to heat up before eating. 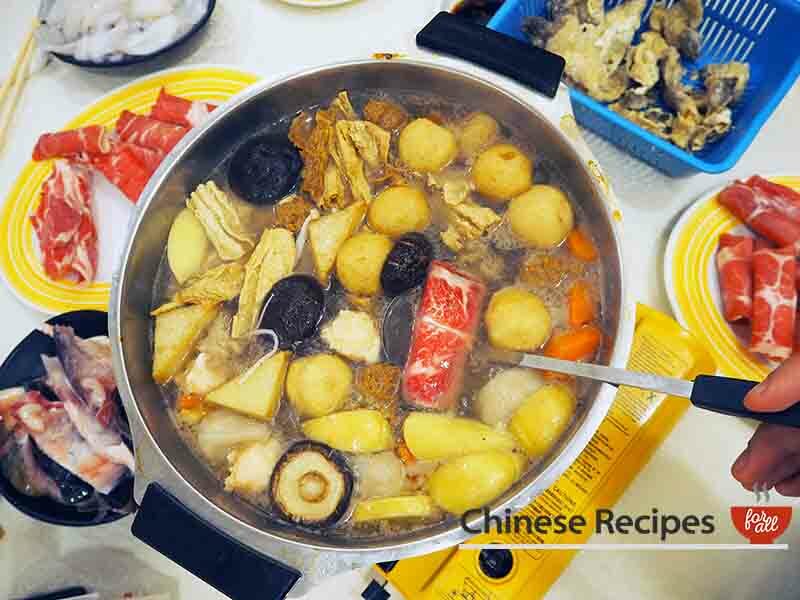 Place hot pot cooker in the centre of the table, pour in soup stock. Place all sauces and raw ingredients around the cooker. Allow each person two chopsticks. One to pick up raw ingredients (wooden chopstick) and one for eating with (bamboo chopstick). That way there is no cross contamination. Have ladles and sieve ladles around for people to pick up and cook with. Beer as a drink goes very well with hot pots. 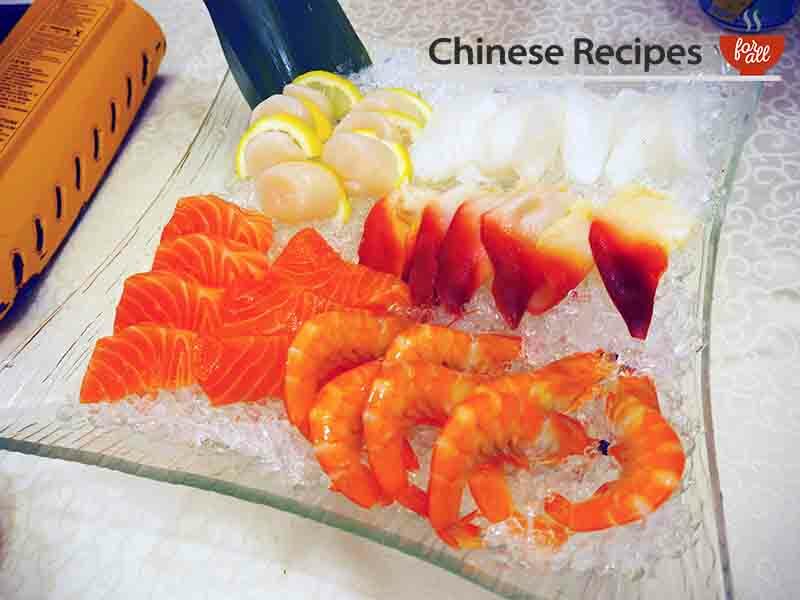 The types of raw fish that can be eaten at a hot pot. 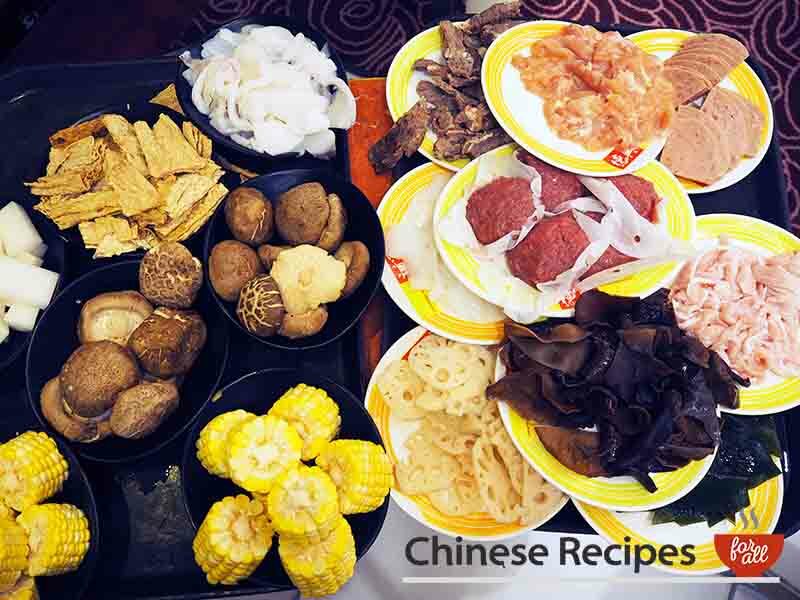 The different types of mushrooms and vegetables and meat for a hot pot. As you can see, vegetarians should not worry. Meat rolls at a hot pot, these are pork and beef. 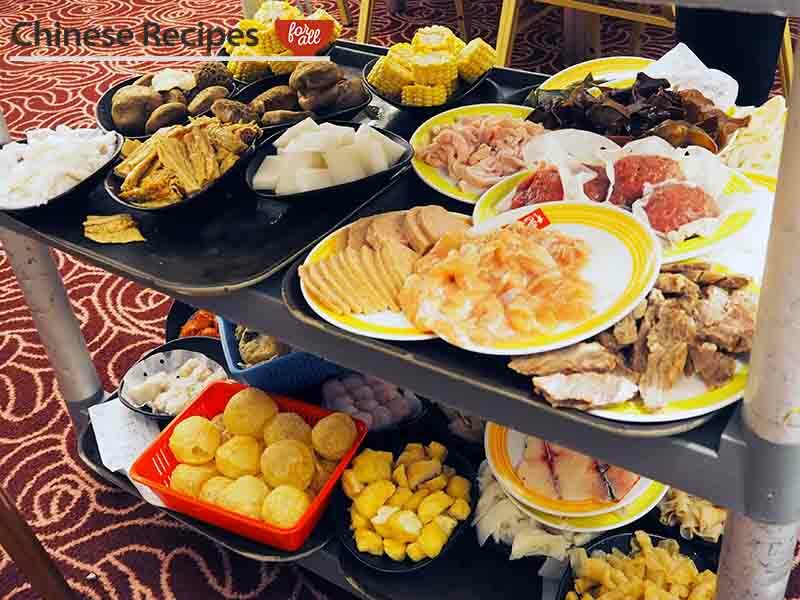 What equipment do you need for a Chinese hot pot? We hope everyone is now armed with the knowledge to have a fantastic feast of a hot pot. It really can be as extravagent or as casual as you want! We show you 7 of the most popular Chinese bakery items. Next time you’re in Chinatown give our pronunciations a go, they will definitely impress! 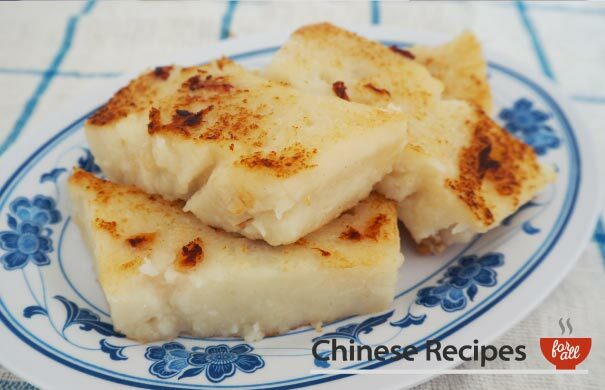 So what’s different in Chinese cuisine when there’s a something to celebrate? 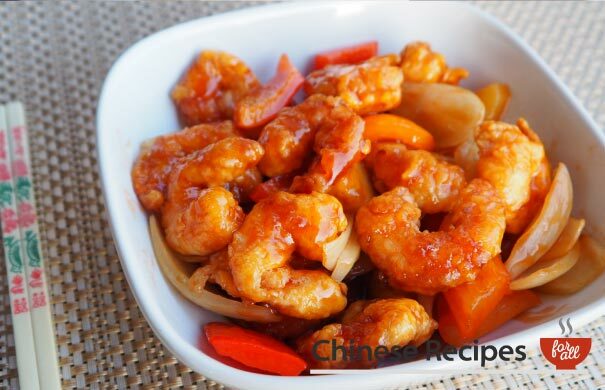 We’ll show you typical Chinese food to eat for these occasions. These are the dim sum dishes that we love ordering, do you have another favourite? Let us know! 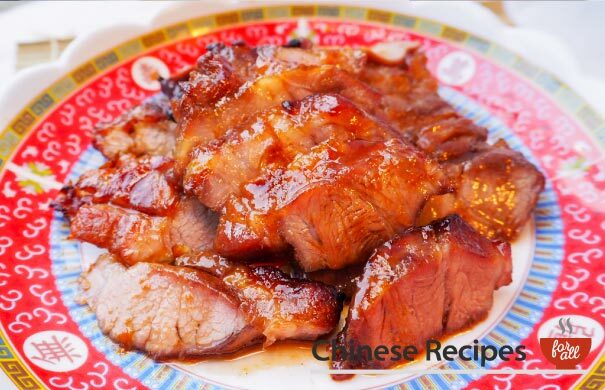 We show you 6 methods of cooking Chinese food. Yep, there is more to it than stir frying although that’s a good place to start. Here are some tips on Chinese etiquette when you're about to eat Chinese food.